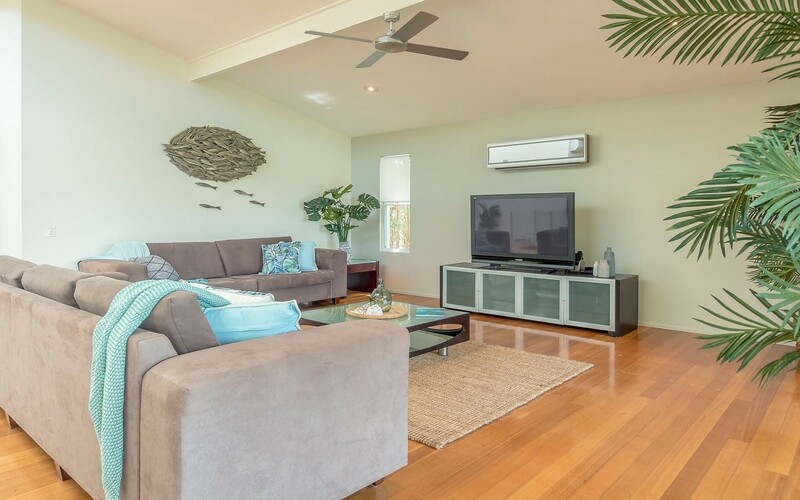 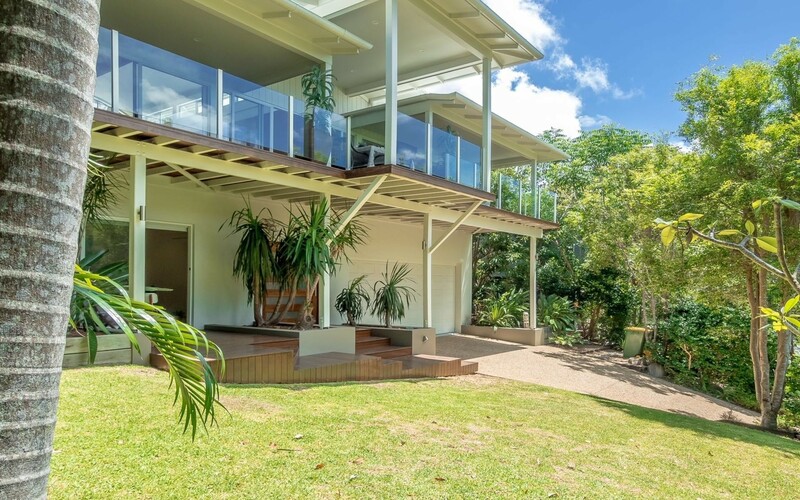 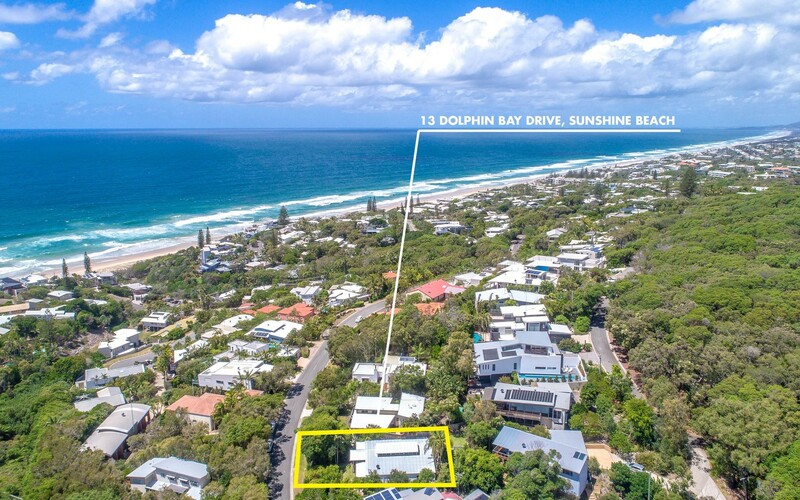 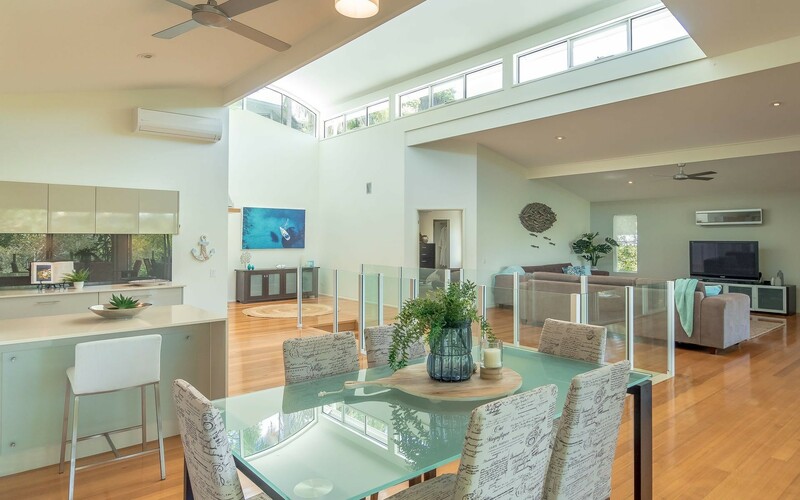 Standing tall and proud in prestigious North Sunshine Beach 13 Dolphin Bay Drive is the idyllic family beach home capturing cool sea breezes and floods of natural light in absolute privacy and tranquillity. 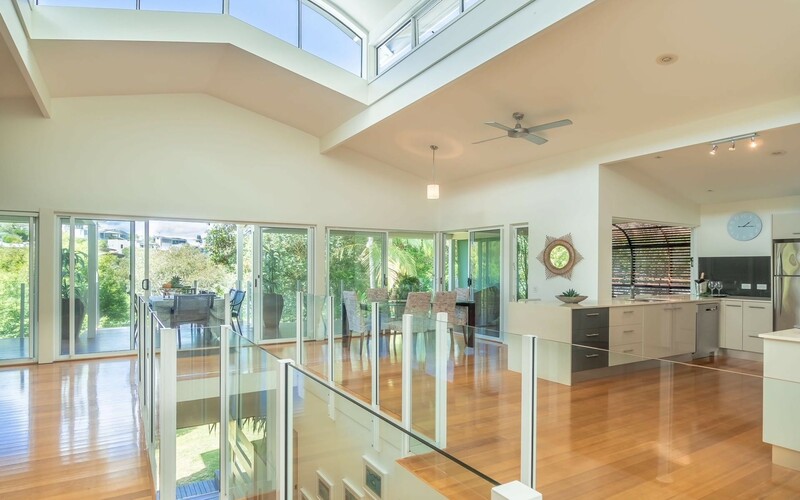 Set over two levels this four bedroom architecturally designed home features rich timber flooring throughout, high vaulted atrium ceilings and a perfect north east aspect. 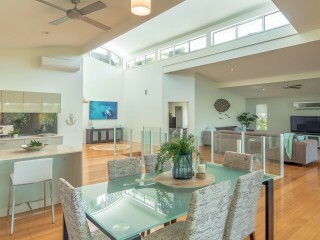 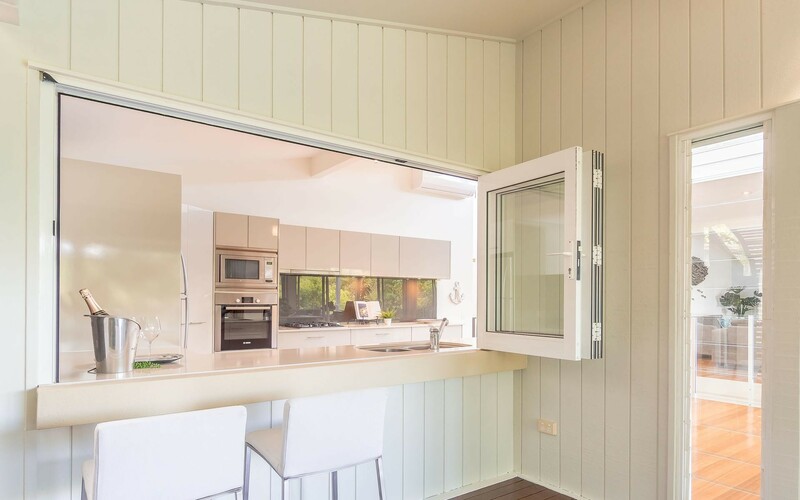 The oversized open plan living and dining areas are perfect for entertaining and flow out to the expansive under cover veranda via glass sliding doors creating a seamless indoor/outdoor feel. 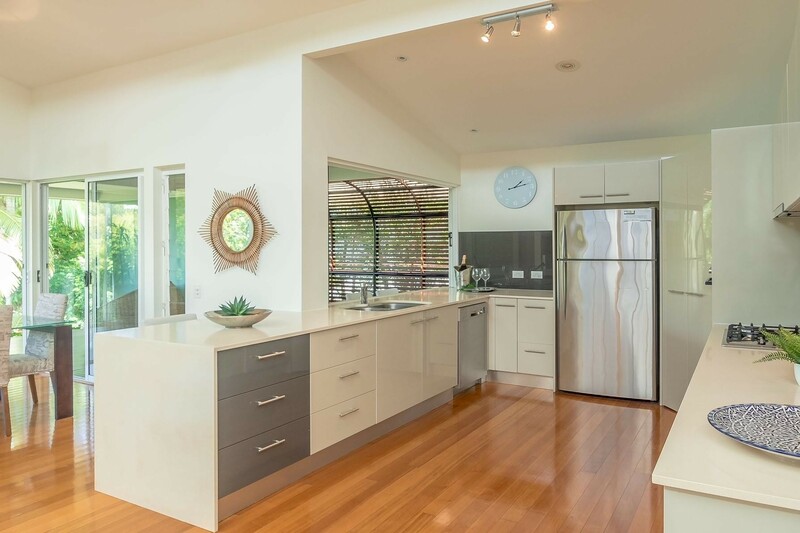 The centralised kitchen features stainless steel appliances, gas cooktop and bar servery perfect for casual dining or lazy Sunday BBQ's. 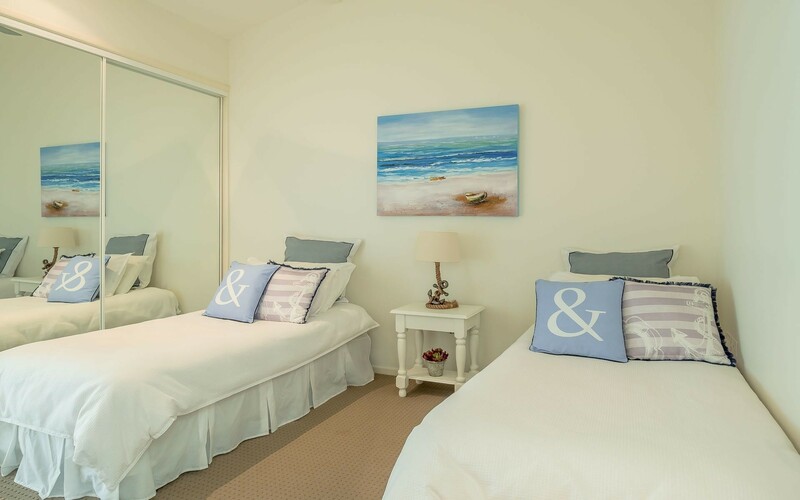 Accommodation includes – The spacious master bedroom and it's luxe ensuite featuring floor to ceiling tiling, frameless glass shower, double vanity and large walk in wardrobe. 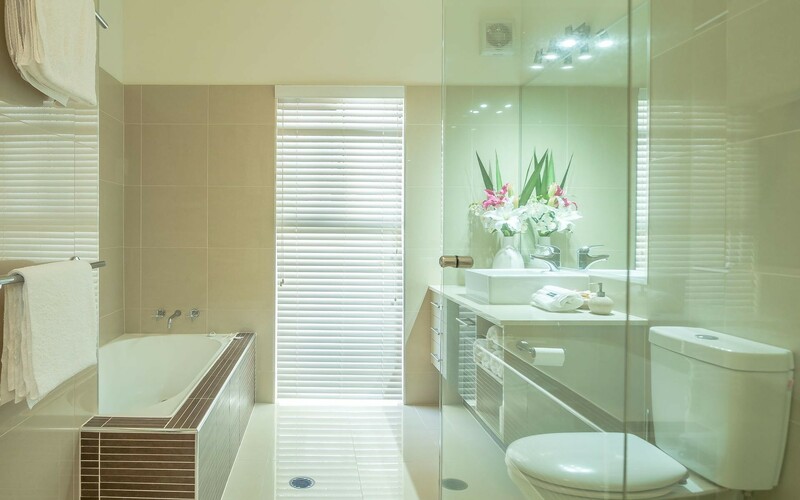 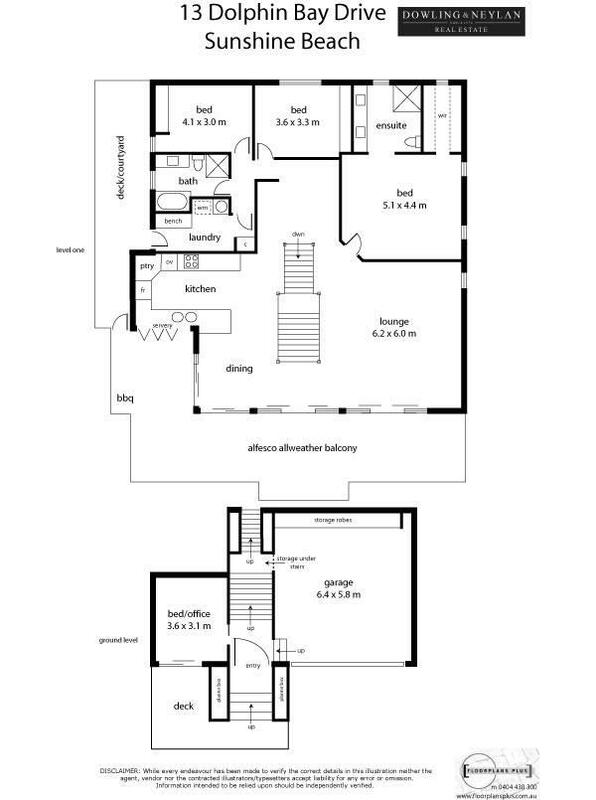 Two additional double bedrooms accompany the master on the first level of the home and are serviced by the main bathroom which enjoys a large separate bathtub. 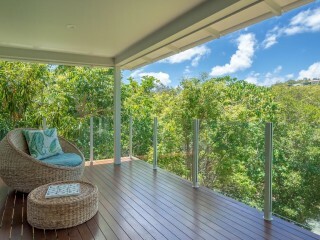 Guest accommodation is perfectly separated on the ground floor of the home and leads to a private outdoor balcony with a wonderful leafy outlook. 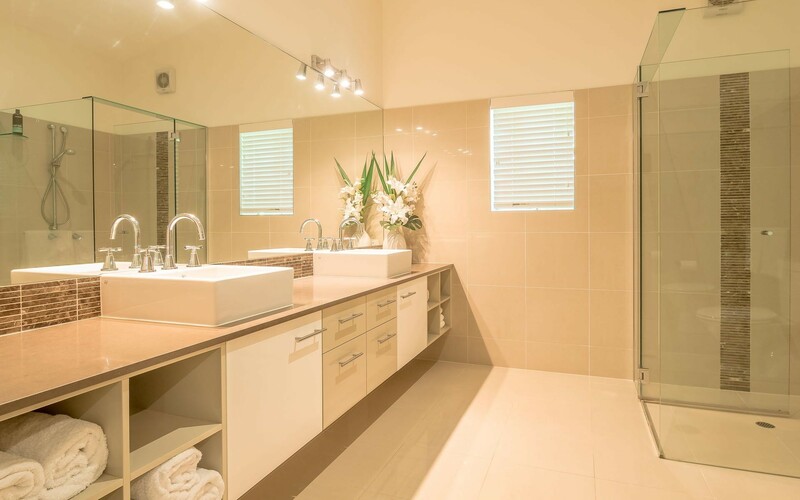 A large double lock up garage and dry undercover area make storage a breeze and the easy care landscaped gardens will leave you with more time to sit back and put your feet up. 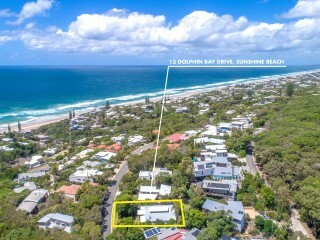 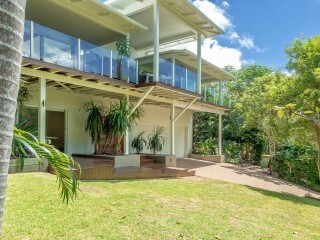 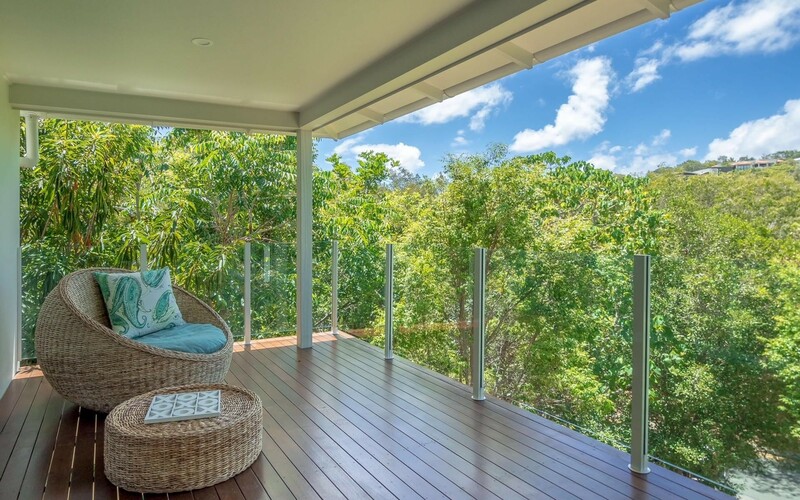 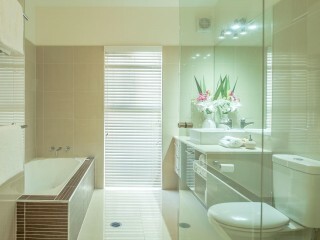 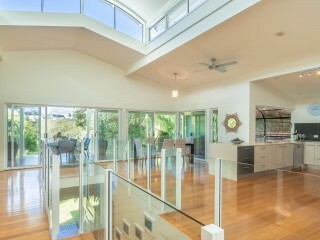 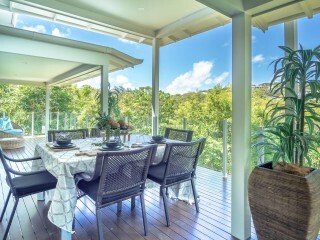 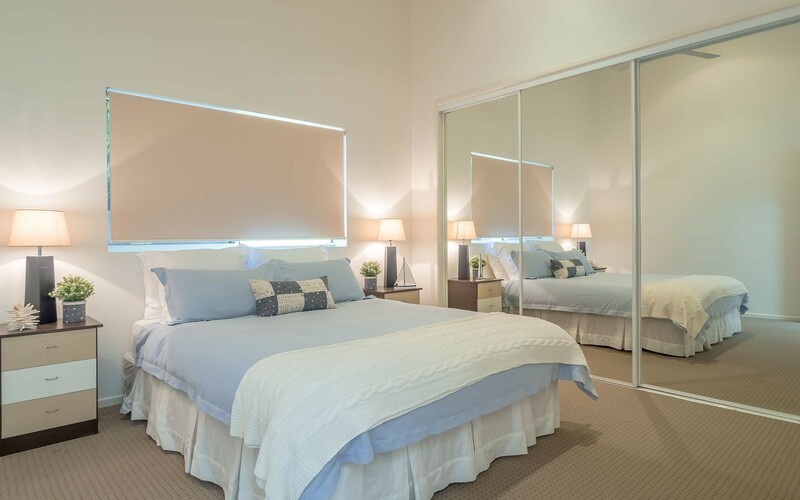 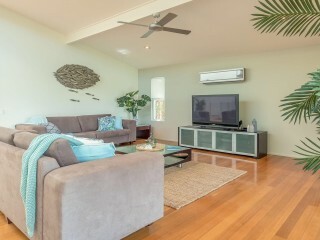 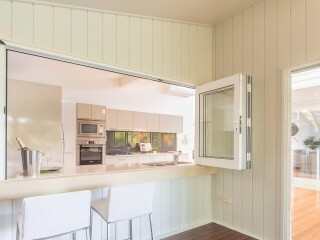 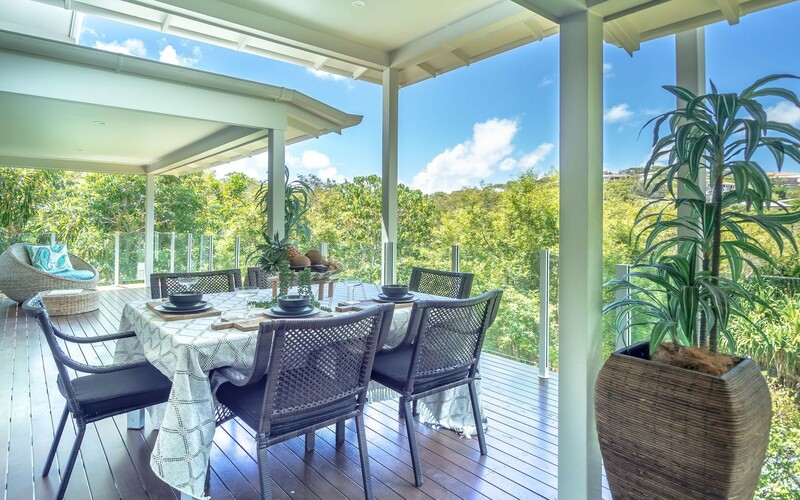 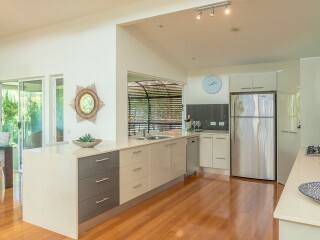 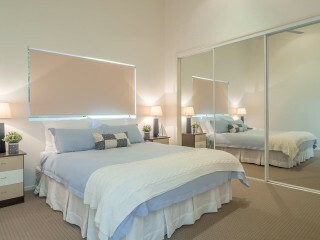 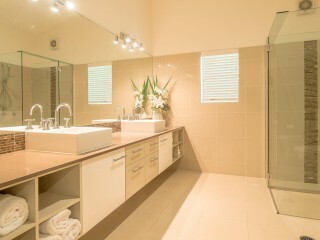 Ideally positioned within close proximity to pristine beaches, Noosa National Park and vibrant Sunshine Beach village. 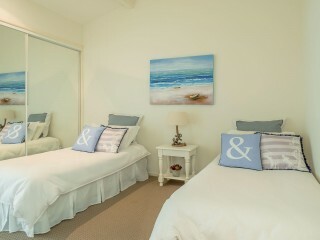 Enjoy the relaxed Sunshine Beach lifestyle at its best.